Eco friendly conformal coated PCBA’s | UK Electronics. 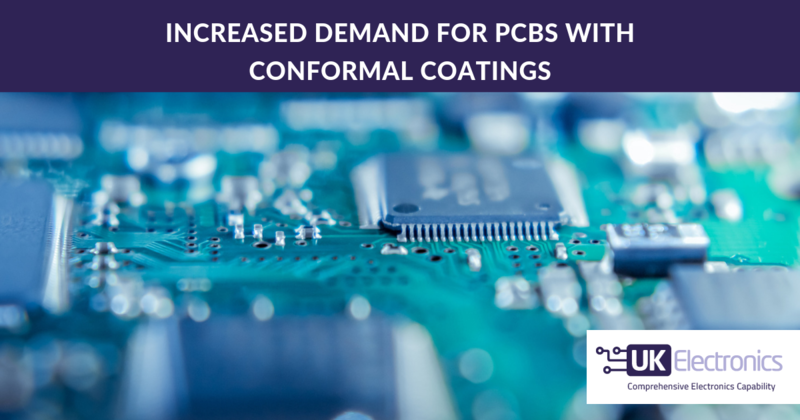 Another service that we offer our customers is conformal coating of PCBA’s. Its purpose is to protect electronic circuits from harsh environments that may contain moisture and or chemical contaminants. By being electrically insulating, it maintains long-term surface insulation resistance (SIR) levels and thus ensures the operational integrity of the assembly. It also provides a barrier to air-borne contaminants from the operating environment, such as salt-spray, thus preventing corrosion. We have the ability to either dip, spray or brush finish your product dependent on your requirements. All our conformal coatings contain a UV trace that glows with a bright blue luminescence under UV light to make coated and uncoated areas easily detectable. All our conformal coating production processes are visually inspected in production under a UV light. The conformal coatings we use are all environmentally friendly. If you require a specific specification of conformal coating we are always happy to source it on your behalf and use it solely on your products.